As you probably know, Vans opened up an impressive skatepark in London recently called The House of Vans. 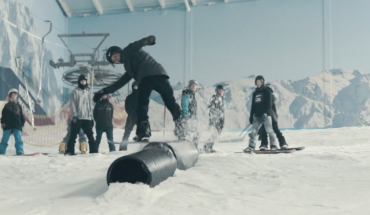 What better way to celebrate than inviting some of the European Snowboard team to ride indoors and dryslope close to London? Watch as Arthur Longo, Kalle Ohlson, Sami Luhtanen, Will Smith, Sparrow Knox, Chris Chatt and Rowan Coultas, ride in the UK.